Twenty-eight local mentors gathered in Cebu City, Philippines to learn the methodology, skills, and best practices to provide effective mentorship to the inaugural accelerator cohorts of Philippine-based social enterprises. Andy Lieberman, Senior Director Growth and Innovation, Jeff Pilisuk, Manager, Growth and Innovation, and Michael Wray, a Senior Mentor with Miller Center’s Global Social Benefit Institute (GSBI), were there to kick off the launch of two accelerator programs in partnership with the new Center for Social Entrepreneurship at the University of San Carlos (USC). The Philippines consists of over 7,000 islands and has a population of more than 100 million people. Over half of the residents live in rural areas and, though poverty levels have declined in recent years, about one-fifth of the population still live below the national poverty line. University of San Carlos (USC) Center for Social Entrepreneurship: a center of excellence in Social Entrepreneurship that will develop courses and academic programs, facilitate field-based action research projects for faculty and students, and offer direct acceleration services to promising social entrepreneurs. A knowledge resource center for students, industry professionals, and entrepreneurs. Accelerating Local Social Enterprises: a set of programs offering direct training and mentorship for promising social entrepreneurs, as well as the ability to proactively replicate/translate proven social enterprise operational models from around the globe into the Philippine island context. Locally-based Impact Investor Network: identify, engage, and educate current and potential impact investors and catalyze the local impact investor network. Local Cebu mentors prepare to meet their mentees. Through collaborative partnerships such as this, Miller Center can share the Global Social Benefit Institute (GSBI) Methodology for Social Entrepreneurship, build the capacity of partner organizations, and greatly expand our reach and impact well beyond what we can achieve on our own. On Tuesday, the second day of our trip, 27 social enterprises gathered for the start of the Boost accelerator, a 4-month program based on an extended version of our GSBI Boost curriculum. 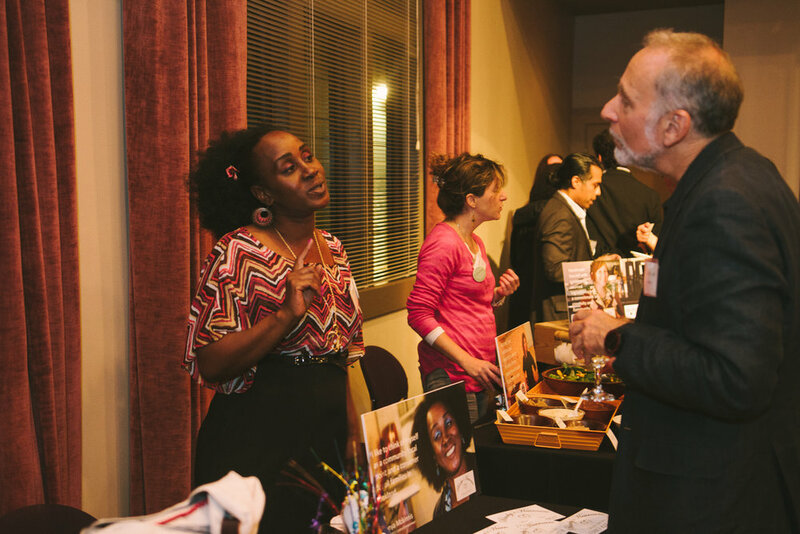 This group of entrepreneurs was made up of small and micro businesses, including bakers, tailors, weavers, furniture makers, soap makers, retail shop owners, food and agriculture producers, and a nonprofit providing housing to underserved populations. It was an incredibly diverse group yet all demonstrated a commitment to begin the journey to strengthen their business and increase their social impact. Entrepreneur (left) and mentor getting to know each other. The following day, nine entrepreneurs, representing seven social enterprises, gathered in Cebu for the start of the six-month GSBI Online accelerator. This impressive group of mostly women-led enterprises included: Orgunique (organic food and teas), Kinamot Nga Buhat (handmade jewelry and crafts), Fishers & Changemakers (sustainable seafood products), LoudBasstard (passive speakers), Que Alegre (organic products and farming), Pestales Agriculture Cooperative (organic products and farming), and Green Enviro Management Systems (mango flour and other mango byproducts). You could literally feel the enthusiasm and energy in the room as these entrepreneurs sat together with their mentors and began digging into the fundamentals of their social impact and business models. By the week’s end our visiting team, together with the local team from USC, had completed two mentor workshops and launched our first two cohorts of social enterprises in the Philippines. We met with local impact investor Rico Gonzalez, Managing Director of Xchange.com, who shared his experience and perspective on the social enterprise ecosystem in the Philippines. We visited with leaders from Justice, Peace, and Integrity of Creation (JPIC), a social ministry that has built new housing for scavengers living near waste disposal sites. It was a busy and fulfilling week, punctuated by new friendships, food, and hard work. And this is only the beginning. Jeff Pilisuk has more than 20 years experience developing new products and marketing programs, incubating new businesses, and advising and mentoring SMEs and entrepreneurs. Jeff currently manages Growth and Innovation programs at Miller Center for Social Entrepreneurship. Bay Area residents have enjoyed meteoric growth in the past few years, bringing in $781 billion for gross domestic product in 2016 alone. While this new surge of wealth may be beneficial for some people, the rise of incomes has been followed by a concurrent rise in inequality. Fortunately, there is an abundance of social entrepreneurs and innovation working to reconcile the Bay Area’s breakneck growth with stable levels of income equality, with the ultimate aim of making a livelihood possible for every citizen. Miller Center is excited to share that we are collaborating with Catholic Charities of Santa Clara County to run a Bay Area GSBI® Boost from July 24-26, a 3-day capacity building workshop engineered specifically for social entrepreneurs concerned with income inequality and its impact on the San Francisco Bay Area. 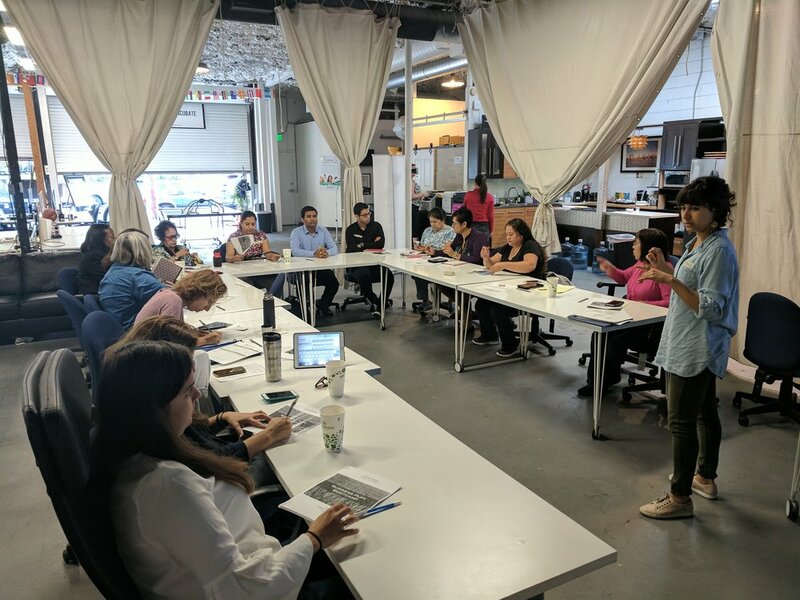 These entrepreneurs envision a Golden State in which innovation and high standards of living for all residents are not incompatible ideals, but instead are complementary ambitions welded together as core values of the Bay Area. Miller Center will leverage Silicon Valley expertise to equip these social entrepreneurs with the skills they need to address the challenges of domestic poverty and economic inequality. Specifically, Miller Center’s GSBI Boost workshop allows social entrepreneurs to gain valuable business knowledge, improve their strategic thinking, and articulate a business plan that demonstrates impact, growth, and long-term financial sustainability. GSBI Boost will also bring together social business leaders from the community for an unparalleled networking event. The Catholic ethos of unity in faith and universality in mission harmonizes well with the historically welcome spirit of the Bay Area. Similarly, Catholic Charities of Santa Clara County helps individuals and families rise above economic barriers, regardless of their background. Miller Center will gild the GSBI Boost with the altruism of Catholic Charities of Santa Clara County, channeling values such as humility and service toward those in need. PROVEN PROGRAM. Experience Miller Center’s structured, validated curriculum that has helped over 800 social enterprises attain operational excellence and prepare for investment. EXECUTIVE MENTORS. You will be accompanied by Silicon Valley mentors with expertise in innovation and entrepreneurship who are your trusted advisors. RELATIONSHIP BUILDING. Not only will you work directly with Silicon Valley mentors, but you will work alongside other leaders also trying to solve the problems faced in the Bay Area. NO CHARGE. All Miller Center GSBI accelerator programs are offered at no charge to selected social enterprises. We invite all social entrepreneurs who are delivering solutions to impact the vulnerable or low-income populations of the Bay Area to apply.